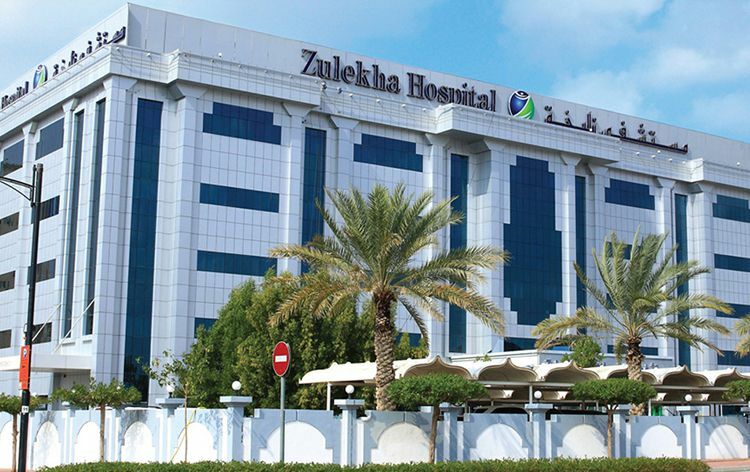 Zulekha Hospital Dubai is a reputed multi-specialty hospital, with a capacity of 179 beds encompassing 32 departments and specialties operated under the highly qualified and accomplished set of doctors. This hospital, established in 2004, is a part of Zulekha Healthcare Group which was founded under the esteemed leadership of Dr. Zulekha Daud in 1964 when she started her practice in Sharjah, UAE. Dr. Zulekha has been the winner of the International Women’s Day Excellence Award by ‘Dhwani’, the New Global Indian Excellence Award and the Lifetime Achievement – Healthcare Award for her services and contribution to the healthcare sector. Zulekha Healthcare Group is a leading name in healthcare provider services, operating at the highest quality with over 3000 workforce including more than 300 experienced doctors, nurses and paramedical staff. Zulekha Hospital is a state-of-art facility facilitated with all the modern equipments and latest technologies offering uncompromised medical care to all the patients. Well equipped CAPL accredited Labs with latest diagnostic and imaging instruments along with high tech CATH labs. Nearest Airport: Dubai International Airport which is around 14.3 Km away from the hospital and it takes about 17 min drive to reach the hospital. Nearest Metro Station: Al Nahda is around 4.7 Km away from the hospital and it takes about 8 min drive to reach the hospital. Zulekha Hospital Dubai performs 383 different procedures. Click on a procedure name to see more details and to view doctors for that specialty. 4.5 average based on 52 reviews.